The degree of Master of Science is conferred upon a student who has satisfactorily fulfilled the requirements of the School of Professional Studies and the program. Each program sets forth the specific requirements for the degree, in addition to the School’s standards of satisfactory performance and progress. These standards are described in materials published by the School. To receive a diploma, students must fill out an Application for Degree and mail it to the address provided on the site. Columbia University confers degrees three times during the academic year: in October, February, and May. M.S. candidates who fail to earn the degree by the conferral date for which they applied must reapply for a later conferral date. Failure to apply to graduate will prevent you from participating in the Graduation events. 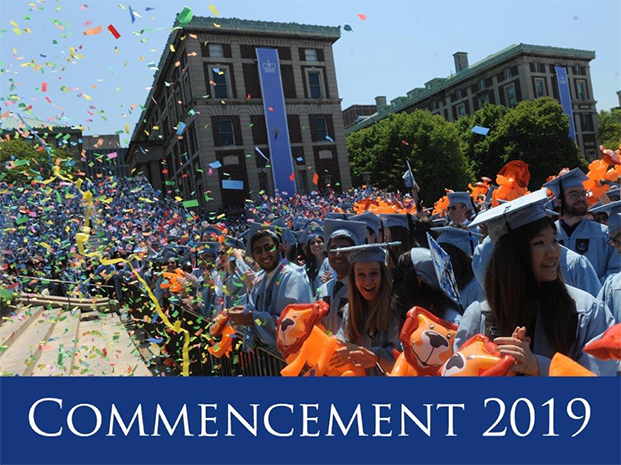 SPS Graduation and Columbia University Commencement ceremonies take place in May. You can check to see whether or not your Application for Degree has been received by logging into SSOL and clicking on the “Degree Application Status” link. Please note that during peak times, it may take a week for your degree application status to be updated in SSOL. Students who are completing a Master of Science degree program and are interested in taking additional courses after degree completion, should apply to the Postbaccalaureate Studies program. Applicants do not need to resubmit transcripts, as they are already on file. Applicants are required to submit a statement of purpose which addresses their purpose and interest in the program. Students wishing to pursue a structured certification or second degree must follow all application requirements for the desired program.